There are so many things which make mission is incredible. 1) The speed of spacecraft: The travelling speed of spacecraft is around 36377 miles per hour (58536 Kilometers per hour).It only took 8 hours to pass the moon while apollo lunar mission took 3 days to reach the moon. It is the fastest speed in relative to earth ever reached by the moving object manufactured by humans (16 km/sec). 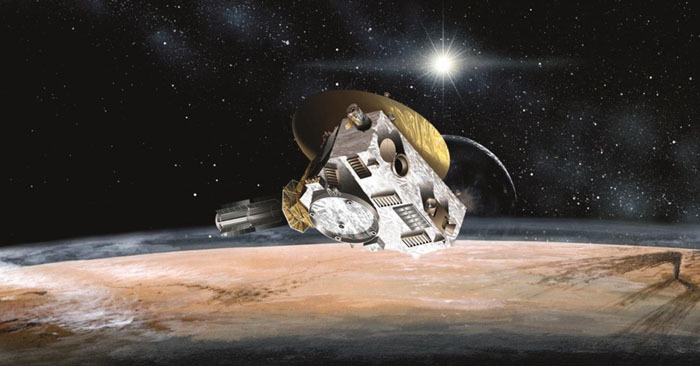 2) New Horizons is one of three NASA's New Frontiers mission category. It is the first mission to pluto. The distance between pluto and earth is 7.5 billion kilometers. It took 9 years and 5 months to reach the pluto. The electrical energy is obtained from the radioactive decay of Plutonium dioxide.The heat released by the decay is converted into electrical energy by an array of thermocouples. 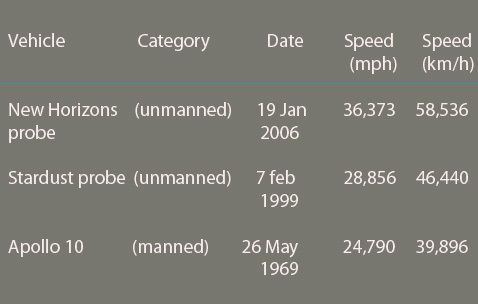 miles per hour during the mission.Helios 1 and Helios 2 are launched in 1974 and 1976 respectively. The mission of Helios spacecraft is to conduct the study on solar processes. Helios 2 is considered as the fastest human-made object ever 157078 mph (252792.537 km/h).